Mountain climbing is extreme enough for many regular folk, but for daredevils only the highest peaks will suffice. Take Mt. 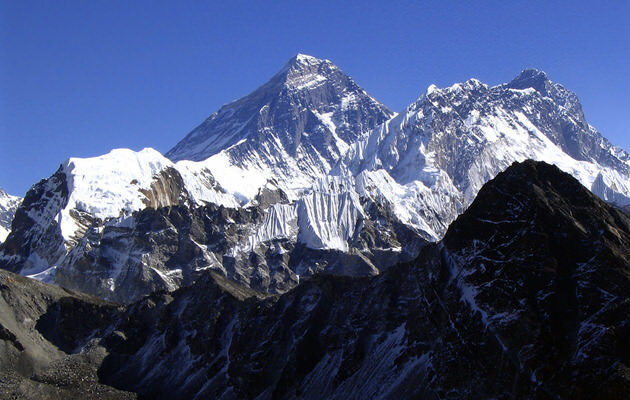 Everest, the highest mountain in the world, located in the Himalayas with the summit at 29,029 feet above sea level. Climbing Mt. Everest is clearly the most death defying climb for any mountaineer or risk taker. There is even an area named the Death Zone, which puts climbers at serious risk for being able to survive. However, mountain climbing is only one way to conquer Mt. Everest. You can also go skydiving in which you would free-fall over Mt. Everest. Your journey doesn’t start out in an airplane, though, no sir. This trip requires a four day hike so that you can reach the drop zone. Top that off with the extremely bitter cold, severe and constant winds, and out of control altitude. Soon you will realize the whole conquering Mt. Everest part as you are struggling to pass the mountain only so that you can jump out of an airplane over top of it. Keep in mind this is no lighthearted feat. Only four excursions to the drop zone take place annually and you’ll need some serious cash along with a six month reservation to be added to the list.